This past week, I read a fact published by the Pew Research Center that stated that roughly 95% of Americans now own smartphones. As a cyclist, this made me think about cycling apps and how they’re being utilized on the road. 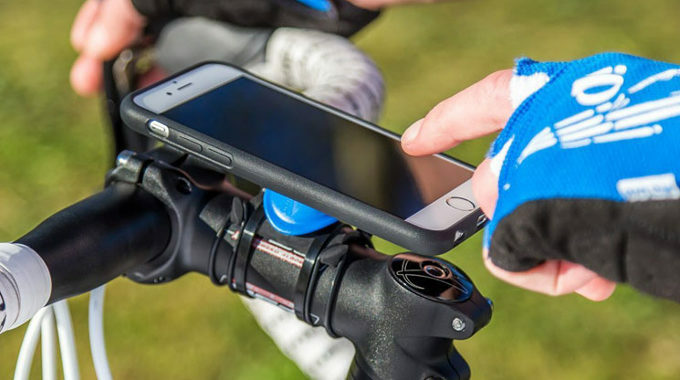 Cycling Weekly published an article documenting the best cycling apps for iPhone and Android users. 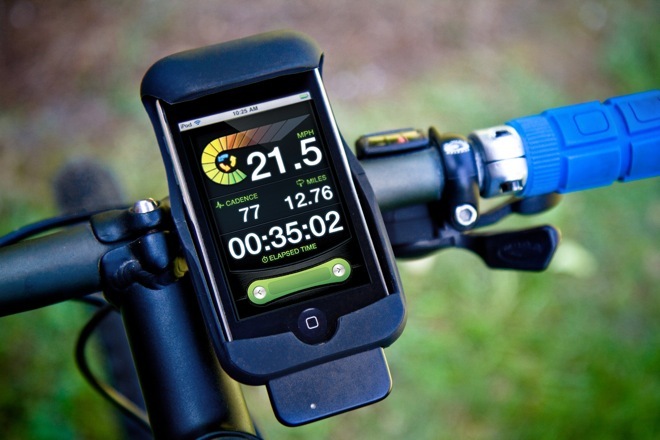 Today, I’m going to share the top 5 apps with you and how effective they are for cyclists to use. Obviously, GPS is what most cyclists find most handy while trying to navigate. 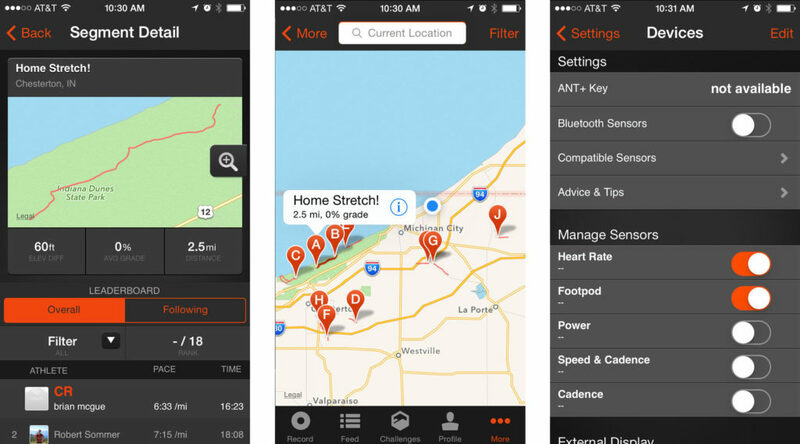 Strava is currently one of the most popular apps used to use for its GPS functionalities. First, by documenting your ride, it can track distance, travel, speed, time, and distance. If you want to take the fullest advantage of the app, you can also enter your own statistics in to track calories burned and elevation ridden. This is a free app that has excellent reviews. In addition, it can be used by any athlete traveling any distance – running, swimming, hiking, etc. Another highly efficient GPS app for cyclists is CycleMaps. This is an excellent option for those who like to plan their routes ahead of time. CycleMaps uses a variety of sources such as OpenCycleaps and CycleStreets to discover the safest and easiest routes for any bicycle rider. You have the option of either planning a direct route or a route with multiple stops. Furthermore, this app can be used on the computer. CycleMaps is free for download on the phone and available for a small fee on Windows. 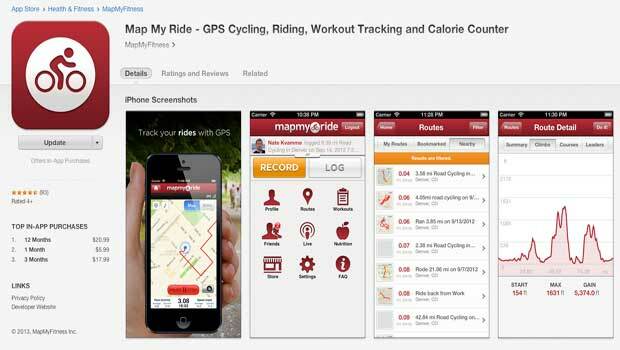 Map My Ride is one of the longest-standing apps for cyclists. In fact, it’s the first one that I personally downloaded. I still use this app most often just because I’m used to it. Though it’s gone through multiple updates since its original launch, it offers many great services similar to Strava. It’s a great tool for recording data such as speed, elevation, and your route in detail. Another great feature that I use often are Courses which offer timed sections where you can set your fastest ride time and compete against yourself. Like the other GPS cycling apps, this one is also free. I’ve used Bike Computer and think it has many great features. Most of all, I love the large, clear format of the numbers. When I check my stats during my ride, they present obviously so that I don’t have to strain my eyes to find numbers while I’m trying to navigate the road. This app is Strava compatible if you like to use multiple cycling apps and saves battery life by operating 12% more efficiently compared to other tracker apps. It’s free and is available for both iPhone and Android. The last app I want to share with you today is an app called ViewRanger. This is one of my favorites simply because I am a map enthusiast. Furthermore, you can share routes with anyone else using the app and thus can find rides shared by other experienced cyclists. The other thing that I like about ViewRanger is that it can be used both for road cycling and mountain biking. Furthermore, I use it when I run or walk due to its superior mapping functions. 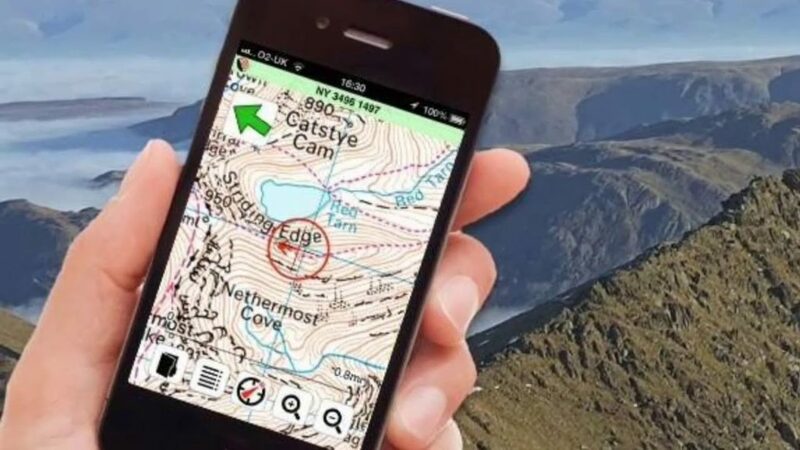 Like the other apps listed, this app is completely free unless a user wants to purchase top-rated maps provided by the Ordnance Survey. I hope that the descriptions of these 5 free cycling apps provided you with information today to help you improve your rides. I know that using my Smartphone to help me navigate the roads has changed the quality of my riding experience by leaps and bounds. Many thanks for following along and happy riding!